Quito is a vibrant city which combines colonial and contemporary styles, and possesses breathtaking natural landscapes. What to do in this city when there are a lot of activities to do? This is a frequent question among travelers who visit the capital of Ecuador. We want to help you plan your schedule when you arrive to the city, so we have thought about the 5 best things to do in Quito. You have to visit the largest Historic Center in South America, on board of the only double-decker bus of the city. 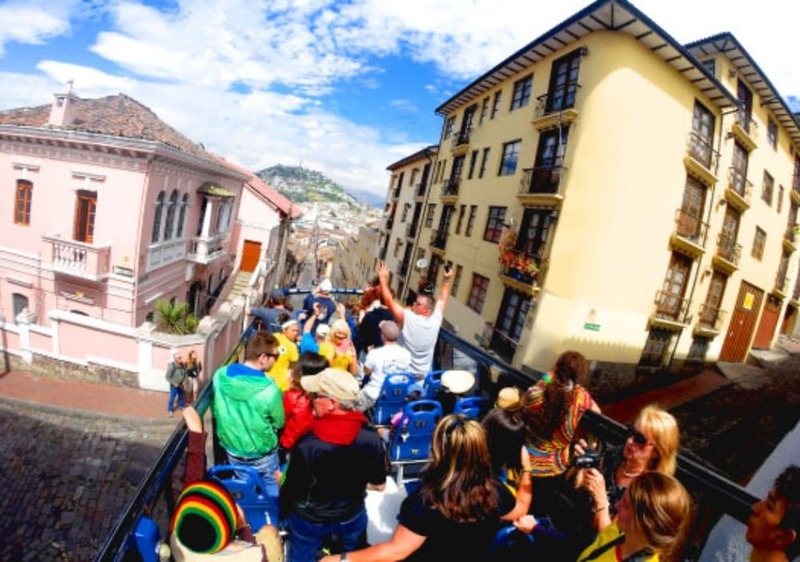 Quito City Tour, from Quito Tour Bus, has a hop on – hop off system which allows you to hop on and hop off at 11 stops established in intervals of one hour. The complete route (without descending from the vehicle) lasts approximately three hours. During this tour you will be able to visit the outstanding Historic Center of the city which has been recognized by UNESCO as Cultural Heritage of Humanity. Moreover you can visit countless of churches, chapels, convents, squares, museums and historical monuments. If you desire to get off the bus and explore these tourist attractions, your bus ticket can be used all day from 09:00 to 16:00. 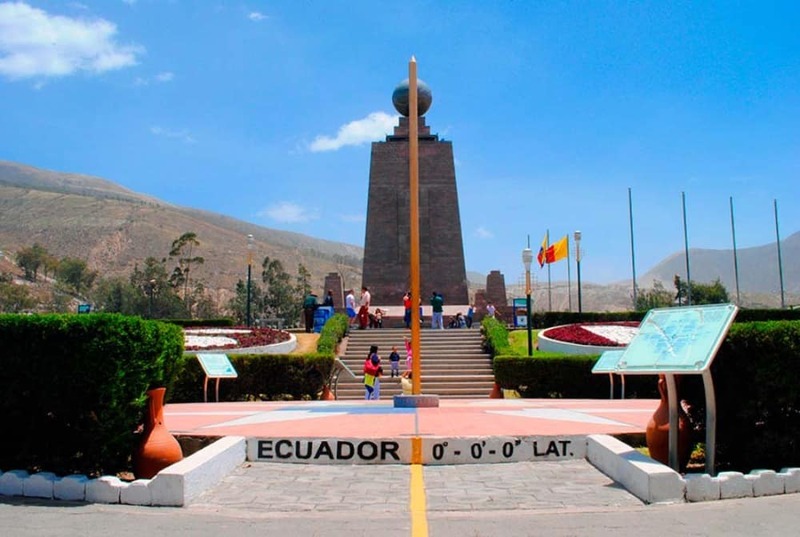 The famous equatorial monument is located in the city of Quito where you will be able to place each foot in both hemispheres at the same time. If you want to know the crater of the Pululahua volcano and the Middle of the World Tourist Complex, you should choose the Equator Line Tour which is a safe, fun, and easy way to meet this unique destination. 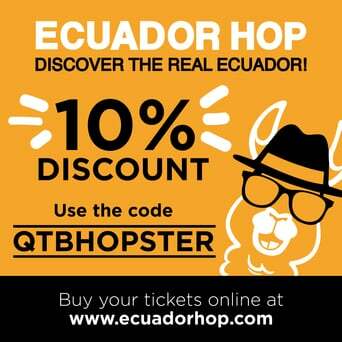 During your visit to the capital of Ecuador, the Middle of the World is an essential activity to perform. 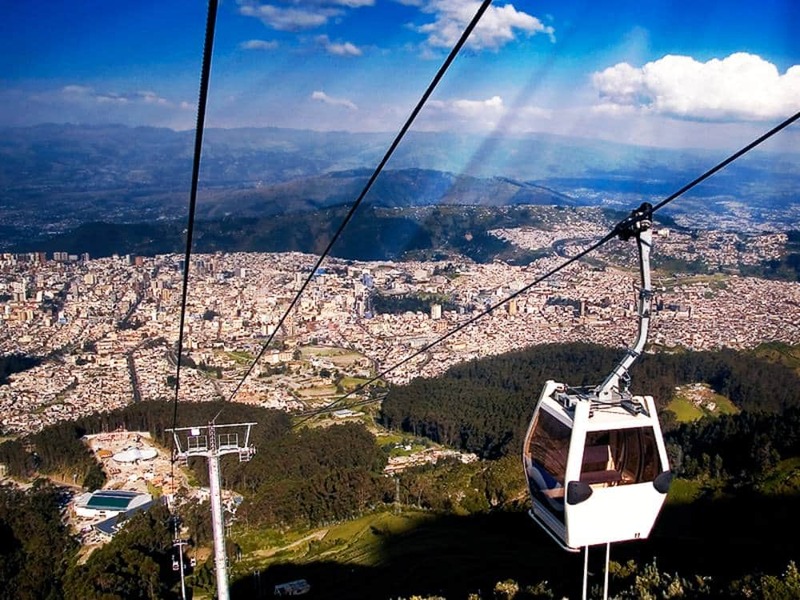 If you’re looking to marvel at the scenic beauty of the Andean highlands as well as enjoy the view of the city of Quito surrounded by mountains, you should take a ride on the cable car of the city. This cable car is considered one of the highest in the world since at the end of the ascent you will reach a height of 3,945 meters above sea level. If you choose to take a ride on board of the cable car you can take walks to the famous Guagua and Rucu Pichincha, two mountains which are part of the Pichincha Massif, a group of hills and volcanoes that belong to the western mountain range of the Ecuadorian Andes. Also, if you like you can take your bike in the same cabin of the cable car and you can make a unique downhill experience on the route that will take you back to the city. “Chapel of Man” or “La Capilla del Hombre” is a cultural center built on the initiative of Oswaldo Guayasamín, one of the most famous painters of Ecuador. 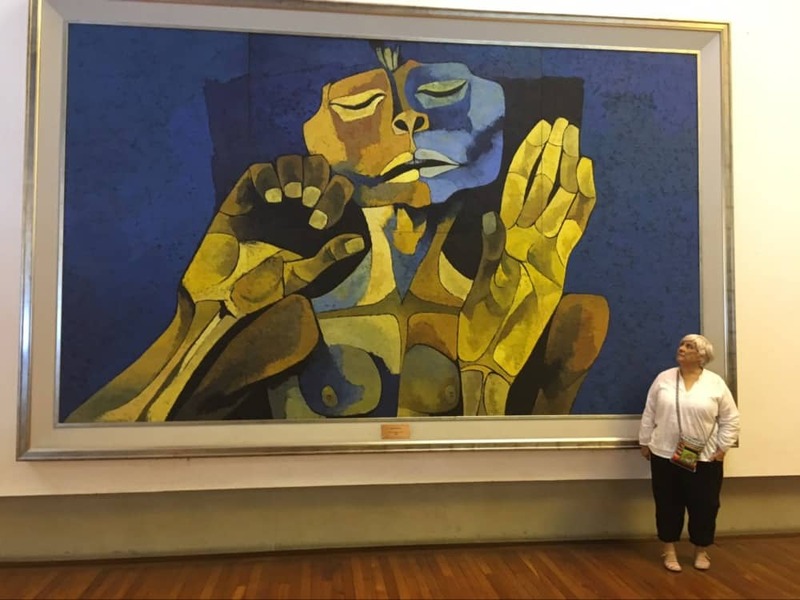 This museum was declared by UNESCO as “Priority Project for Culture”, and by the National Congress as “Cultural Heritage of the Ecuadorian State”. This is a wonderful place where you can enjoy the most iconic works of the artist. In addition, in the same complex of the Chapel of Man you can find the workshop of the artist so you will get closer to the intimate life of the painter. In this cultural center, you can also enjoy temporary exhibitions and the extraordinary internal architecture that will lead you to want to know much more about this painter and his work. In addition, close to the Chapel of Man, you can find the well-known Metropolitan Park (Guanguiltagua) where you can perform a series of outdoor activities. “Loma del Panecillo” (The Little Loaf of Bread) or “The Panecillo” is an iconic site of the city, located in the Historic Center of Quito. 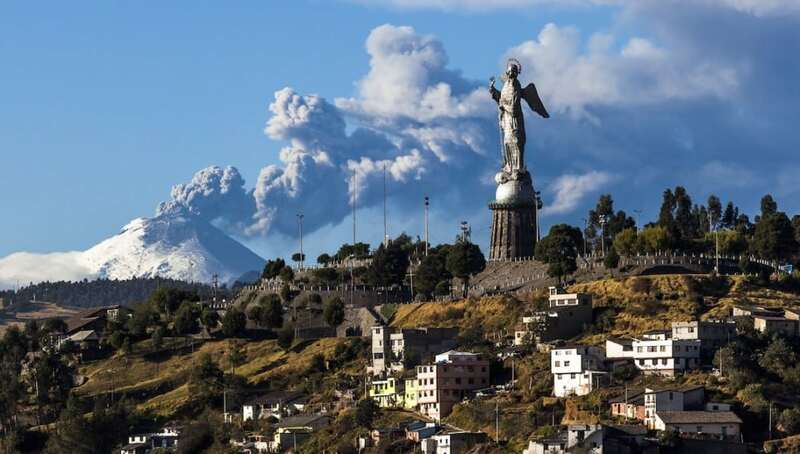 In this place, there is an impressive statue of “Our Lady of Quito” also called “Virgen de Legarda”. In the viewpoint, located inside the statue, you can enjoy one of the most privileged views of the city. The Panecillo is approximately 3,000 meters over sea level which is why it is recommended to access this site by vehicle. There is also the option of going on board of the only double-decker bus of the city by taking the Quito City Tour. In this wonderful place, you will find traditional food, restaurants, and handicrafts.